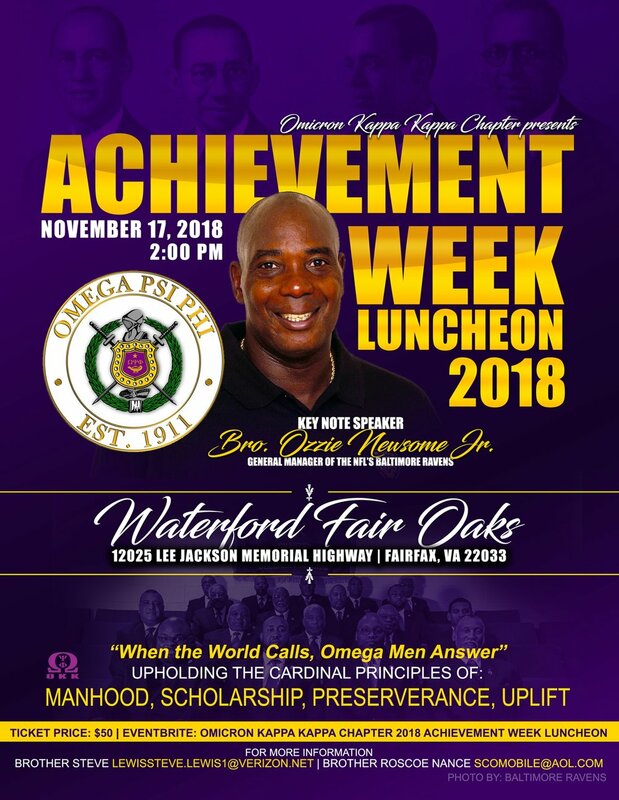 Come join the Omicron Kappa Kappa Chapter of Omega Psi Phi Fraternity Inc. as we celebrate Achievement Week with guest speaker - Brother Ozzie Newsome Jr. General Manager of the Baltimore Ravens. Click here for sponsorships now available! Click here to purchase tickets via eventbrite! $950 VIP table of 10. VIPs enjoy early event entry, VIP registration table, champagne in souvenir glass upon entry, passed hors d'oeuvres, and swag bag.